Soccer betting revolves around the most popular sport in the world, although plenty of bettors outside the United States are likely to refer to it as “football betting.” Regardless of what you call it, it’s played by hundreds of millions of people in more than 200 countries, and any reputable sportsbook is going to offer wagers for various Association Football matches. 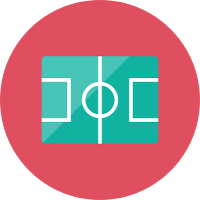 Whether you’re a longtime bettor or absolute novice, this article should familiarize you with some of the basics of soccer betting. By paying close attention to the hobby and maintaining a sense of discipline, you’ll give yourself a decent chance of earning a profit on a consistent basis. When you’re wagering on football, it helps to have some sort of strategy. By following the advice listed below, you can increase the odds in your favor (I recommend GoonersGuide for more advice on soccer betting). Make sure you have enough starting funds to open accounts at several leading sportsbooks. This money should be kept separate from what you need to eat and pay the bills. If you have accounts at multiple sportsbooks, I suggest shopping around for the best lines. Never take the first line presented to you without checking out the competition. Know your options when it comes to betting. Can you tell the difference between a back bet and lay bet? If not, keep studying. When you lose a bet, accept it and move on. Trying to double up in order to break even is a doomed proposition. Don’t bet on 15 games at a time. Keep the number of wagers small to limit potential losses. I suggest betting on no more than three matches at a time. Cup matches are too volatile, so avoid them whenever possible. Instead, stick with matches from high-level leagues that have been running for five or more weeks. Never make wagers under the influence of alcohol. Ignore this advice and you’ll definitely wind up losing money in the long run. Here’s an example of a money line wager: Everton +325 vs Chelsea -120. The team with the positive sign is the underdog, and their number shows how much you’ll win on a $100 bet. The team with the negative is the favorite, and you’ll need to wager their number in order to win $100. The oddsmaker sets a number for the total goals scored. The bettor wagers if the actual number will be higher (over) or lower (under). The underdog team has points added to their final score, while the favorite has points deducted. In order to get a payout, the bettor must choose the team who wins based on the adjusted score. These wagers cover a wide range of possibilities. Examples include the first player or team to score a goal, or the exact final score of the match. The bettor selects two or more teams to wager on. All selections must emerge victorious for a payout, although the cash reward is much larger than a regular single-game wager. When it comes to global sporting events, it doesn’t get any bigger than soccer. While watching the games is exciting, it pales in comparison to winning a sizable wager on a well-researched underdog. If you don’t believe me, build up a bankroll, join a few sportsbooks, and see for yourself.